Our popular Leisure Centre has facilities for bowls, tennis, five-a-side football and netball as well as a cafe if you want a well-earned rest or just to watch the world go by. 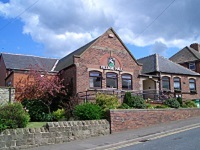 Our refurbished Village Hall is available to hire for meetings and events, either by the hour or for a full day. There are special rates for local users, and bar facilities are available on request.